Handy one-piece backpack with zip opening and inner pockets. The wide shoulder strap is adjustable and has a cell phone case on the outside. Material: 55% hemp, 45% organic cotton, leather inserts. Handy one-piece backpack with zip opening and inner pockets. 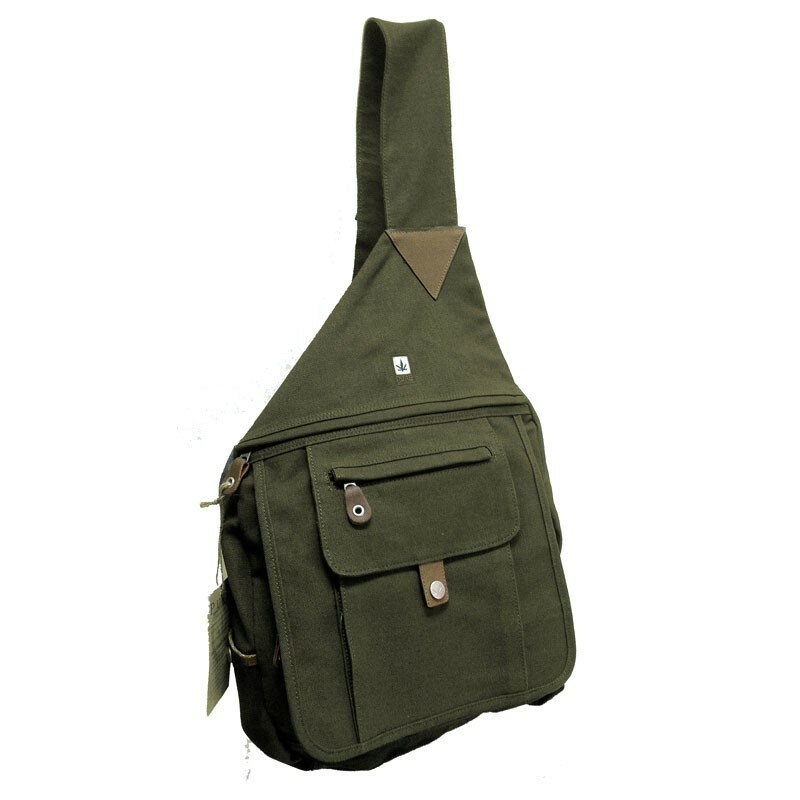 The wide shoulder strap is adjustable and has a cell phone case on the outside. On the front there are numerous pocket pockets and a side pocket with clip closure. Material: 55% hemp, 45% organic cotton, leather inserts. Measures: height 34 cm, width 30 cm, depth 11 cm, 0.60 Kg.